Former stable will remain in Chelsea. Photo: Kevin E. Schultz. Landmarks appears to disfavor demolition of stable for modern apartment in the Ladies’ Mile Historic District. 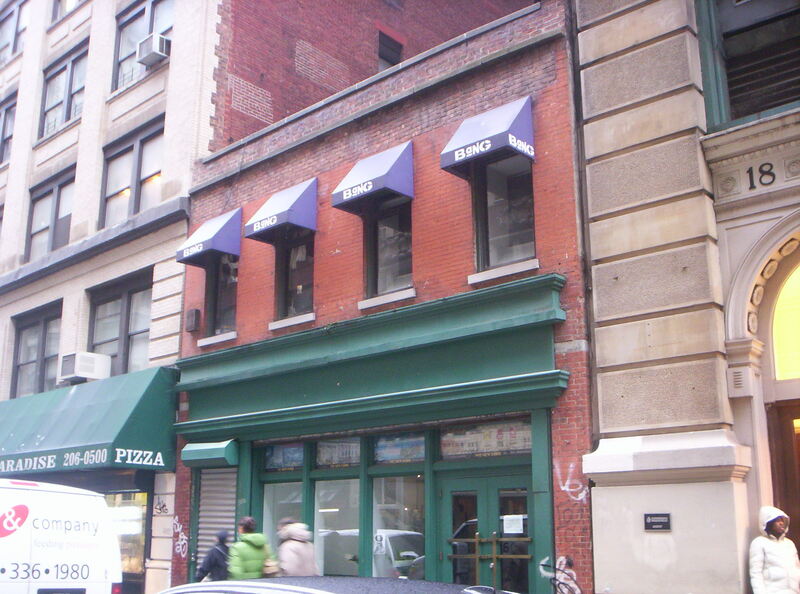 Anthony Schaeffer, the owner of 16 West 18th Street, applied for a permit to demolish a two-story 1867-built stable on the site in order to construct a modern apartment building in the Ladies’ Mile Historic District. At the Landmarks hearing, Schaeffer’s architect, Morris Adjmi, testified that the new narrow 12-story building would be bricked with sandblasted glass blocks to give it an appearance “lighter than white.” Architectural historian Bill Higgins, of Higgins and Quasebarth, who testified on behalf of Schaeffer, stated that the former stable lacked historical and architectural significance. He produced evidence that the stable had been altered and renovated repeatedly since it was built in the 1860s, including rear additions, the loss of an Italianate cornice, and the conversion to a storefront. He also noted that, because of the extensive renovations and lack of architectural style, the stable was not considered historic by the Federal Department of the Interior. Higgins urged Landmarks to consider the continuing evolution of the area, and argued against the “freezing of a Historic District” where nothing with a shred of historic fabric can be destroyed. Community members largely opposed the demolition. Flatiron Alliance president Ernest Raab claimed approval would mean “not an end but a beginning to a dangerous process.” Jack Taylor, of the Drive to Protect the Ladies’ Mile District, who also opposed the project, pointed out that only six stables remain in the area, and only two of them are two stories. He also lamented the lack of a storefront within the proposed building. Lisa Kersavage, of the Municipal Art Society, spoke in favor of the proposed building, testifying that it fit in well with the street and the district.